• Discrete 2nd Order, and Discrete 3rd Order distortion measurements. • FFT Square Law method intermodulation distortion measurements. • Bit Error Rate, and MER with External QAM source. 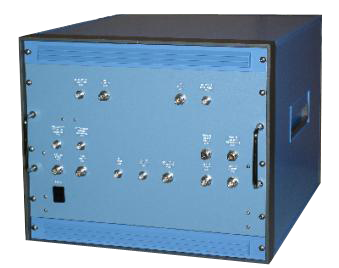 • Ultra sensitive Hum Modulation Measurements (with HD-500). • Software control of the ASX-16C/D & AFS-12WB. • Database maintained Test Results. • Automatic spreadsheet generation and charting. • Frequency Trim for random dispersion of carriers. • Improved repeatability and reliability. • Beat Chart Calculator Utility. • Built-in Squaring circuit for FFT measurements with Audio Output connector. • Built-in Matrix HD-500 hum detector. 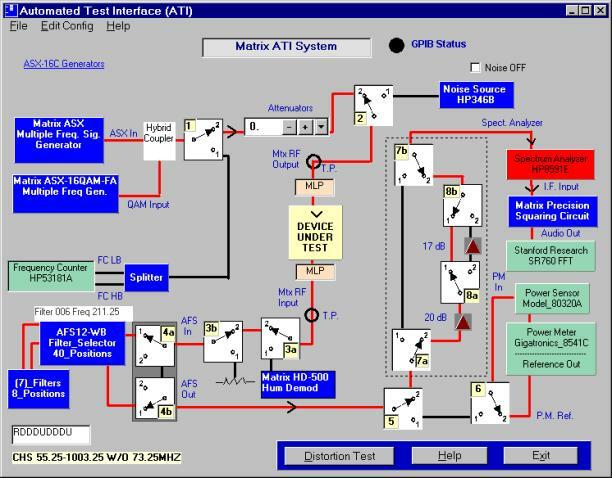 In addition, switching is provided for automatic disconnection and termination of the test equipment to determine corrections for test equipment noise contribution in C/N measurements. RF Test Point connections are provided for troubleshooting the RF path.